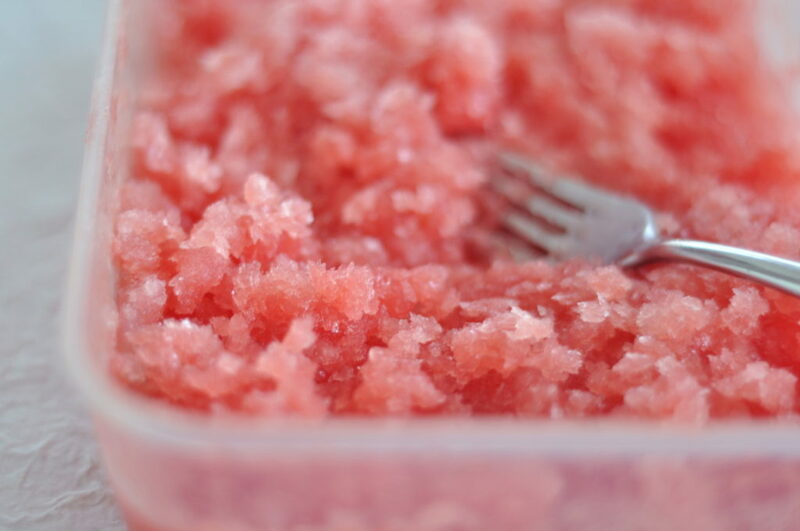 Watermelon granita (Photo ©2011, Mary Liis via Flickr). What could be better than an ice cold, freshly shucked oyster? An oyster topped with frosty flaked ice is amazingly flavorful and refreshing. Whether you love your oyster granitas flavored with fresh fruit (melon, citrus, cranberry), spirits (stout, vodka, tequila), or more exotic fare (wasabi, tabasco, ginger), we’ve gathered recipes from your favorite magazines, cookbooks, chefs and food blogs.